For the first time in a long time, the Detroit Red Wings are a team at a crossroads. The Red Wings, who have made the playoffs an NHL-record 21 straight seasons, appear to have enough talent to still be a legitimate Stanley Cup contender. However, for the first time in 20 seasons they do not have Nicklas Lidstrom, the player coach Mike Babcock referred to as "a security blanket, a guy that just makes you feel good." They've got high-end talent, a good core of players still in their mid-to-late 20s, and a solid prospect pool. However, there are more questions about the Red Wings entering this season than there have been in a long time. 1. 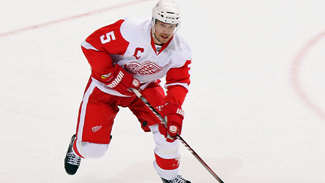 What can the Red Wings do to fill the void left by Nicklas Lidstrom? Lidstrom is a once-in-a-generation player. Teams don't replace those guys. Teams can't replace those guys. They leave a void and, really, the rest of the team just has to deal with it and move on. The Red Wings already had to do this when Steve Yzerman retired. They won another Stanley Cup. Lidstrom gave Detroit and the NHL pure genius on the blue line for 20 seasons, but just because he's gone doesn't mean Detroit has to change its system or its style. The Red Wings may never have someone as responsible and reliable as Lidstrom, and it's simply unfair to ask anyone to even try to be like him. Instead, Pavel Datsyuk, Henrik Zetterberg and Niklas Kronwall have to step up and fill the leadership void. Jonathan Ericsson, Jakub Kindl and Kyle Quincey have to take the next step in their careers -- do what they do best, only do it better than they have before in Detroit. Kronwall has to go from being second in command on the defense to the one in charge, all the while being a mistake-free defender who still delivers those huge hits. Kronwall is a risk-taker and prone to making mistakes. Brendan Smith has to take a huge step in his development to become a top-six NHL defenseman. Ian White, who played primarily with Lidstrom last season, must find consistency with a new partner. He had an inconsistent past before coming to Detroit and pairing with Lidstrom, who was known to make just about everyone around him better. "You never want anything to stop on your watch, so here we go," Red Wings coach Mike Babcock told NHL.com. 2. Is Jonathan Ericsson ready for a bigger role? In addition to losing Lidstrom to retirement, the Red Wings lost Brad Stuart to the San Jose Sharks. Stuart played 81 games last season, contributed 21 points and a plus-16 rating, and averaged more than 21 minutes of ice time per game, including a team-high 3:10 per game on the penalty kill. Ericsson has to step into Stuart's skates and be as reliable and as durable. That means Ericsson is going to have to play more than 20 minutes a game (he's never done it), stay healthy for a full season (he's never done it), and move into a key role on the top PK unit (he's never done it). Ericsson has shown flashes of brilliance in his NHL career to date. At 28 years old, it's time he takes the next step and becomes the player the Red Wings have long said he could be. He basically has no choice. "[Ericsson] last year, when our penalty killing turned the corner, we felt it was because of Big E on the back end. That's going to be a huge part," Babcock said. "We don't need Big E to be a star offensively; we need him to move the puck and be the huge man he is. I think he has a chance to be a real nice player for us, and we need growth out of him. We really like him, and we think he's at the time in his career where he's confident in himself. I think he's really ready that way. I think he thinks he is ready. And, let's be honest, we need him to be." 3. Can Danny Cleary rebound from a sub-par 2011-12 season? Cleary is known for being one of the most determined players in the game, but at 33 years old and coming off a tough, injury-plagued season, the Red Wings have to be wondering if he's starting down the wrong side of the hill in his playing career. Cleary had 12 goals and 21 assists in 75 games last season after putting up career-highs in goals (26) and points (46) in 68 games two seasons ago. He was shut out in five playoff games last season. The Red Wings could use 20 or more goals from Cleary again to take some of the pressure off Zetterberg and Datsyuk. Detroit lost Jiri Hudler's 50 points, and instead of hoping that Gustav Nyquist and Damien Brunner can make it up, the Red Wings have to count on Cleary to help bridge the gap. He's certainly capable of getting back to being the player he was two seasons ago. "Dan Cleary has done nothing but rehab, rehab, rehab his knee this summer," Babcock said. "He's a skater and he's a great teammate. He had a poor year last year. He'll be back and we need him to be back. He was a huge part of our team in the past and wasn't last year." 4. Will Damien Brunner make a name for himself in the NHL? Brunner, 26, is arguably the biggest wild card the Red Wings have on their roster. He can either become a top-six forward, a reliable scorer to replace Jiri Hudler's 50 points, or he could be a one-year bust who returns to Switzerland after the season. The Red Wings signed Brunner to a one-year, two-way entry-level contract on July 1 based off his success over the past four seasons with EV Zug in the Swiss National League A. Brunner had 78 goals and 112 assists for 190 points in 167 games with EV Zug. He put up career-highs in goals (24), assists (36), points (60) and penalty minutes (48) last season. Babcock watched Brunner play for Switzerland at the world championships and left impressed with his skill and his speed, so much so the coach encouraged general manager Ken Holland to take a hard look at Brunner. Babcock thinks Brunner has a chance to play in the Red Wings' top six. He wants to give him every chance to succeed. "He likes to score. He plays at high pace," Babcock said. "So here's the question for Brunner: You go to World Championships and watch him, but can he play on the small ice? Is he going to be backed off? "The Swiss play a North American brand of hockey," the coach continued. "I watched him every practice over there. I believe when I go through our guys on our team, if they were to be at the World Championship playing against Canada, there is no way they could be as dominant as he was. He went into the areas to score. He was a darter. He can shoot the puck. He can skate the way the game is played. I saw a real hockey player." 5. Are Jan Mursak, Gustav Nyquist, Tomas Tatar and Brendan Smith ready for full-time NHL duty? The Red Wings have long been touting these four as prospects with potential to become contributors at the NHL level. The time seems right for them to prove why the organization has shown so much belief and patience in them. They will enter the season with limited NHL experience, but with the hope of cracking the roster out of training camp. Smith, 23, who had seven points in 14 games last season, seems to be a good bet to make the 23-man roster and potentially play on the third defense pair, but the three forwards (Mursak, Nyquist and Tatar) will have to stand out in training camp to make the final roster. Their chances are slim as is because the Red Wings have a glut of forwards. "I think Smith is a real player," Babcock said. "The mental side of the game with [Smith] is doing more with less. I think he's a thoroughbred. He played real well for us last year when he played." Mursak, 24, has the most experience with 44 games played over the past two seasons, but he hasn't shown much and has produced two goals and two assists. Nyquist, 22, showed promise last season by putting up seven points in 18 games. Tatar has spent the past three seasons in Grand Rapids. He had 58 points in 76 American Hockey League games last season. 6. Is Detroit's record run for consecutive postseason appearances in jeopardy? 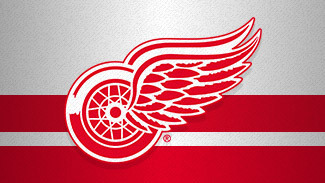 The Red Wings have made the Stanley Cup Playoffs for 21 straight seasons, an NHL record and the longest current streak in any of the four major professional sports leagues. The past 20 of those playoff berths have come with Lidstrom as a cornerstone defenseman. They have won the Stanley Cup four times over the course of the past two decades-plus. The current team, at least on paper, is good enough to keep the streak intact, but there is no denying that for the first time in a long time the Red Wings are vulnerable. They lost Lidstrom and Stuart off the blue line and did not replace them, hoping instead that Smith is ready for full-time duty and everyone else is capable of doing more than they ever have. That also means White has to show he can be a consistent two-way defender without Lidstrom as his partner. The Red Wings lost Hudler to the Calgary Flames and replaced him with aging Mikael Samuelsson and Brunner, who has never played a professional game in North America. They are hoping that Nyquist and/or Mursak can make the jump to the NHL, but by no means can they say either is a sure thing. Zetterberg and Datsyuk are superstars, but each has been injury prone in the past. Zetterberg did play all 82 games last season, but Datsyuk missed 12 games and was battling injuries throughout the season. Detroit wants to rely on Johan Franzen to be a consistent difference-maker up front. The problem is Franzen can be one of the League's premier power forwards one day and invisible the next. Todd Bertuzzi is 37 and coming off one of the least productive seasons of his career (38 points in 71 games). Cleary is 33 and also took a step backward last season. Minnesota got better. Dallas got better. Anaheim could be a threat again. Calgary and Colorado both believe they have improved. There will be plenty of competition for Detroit in the Western Conference.